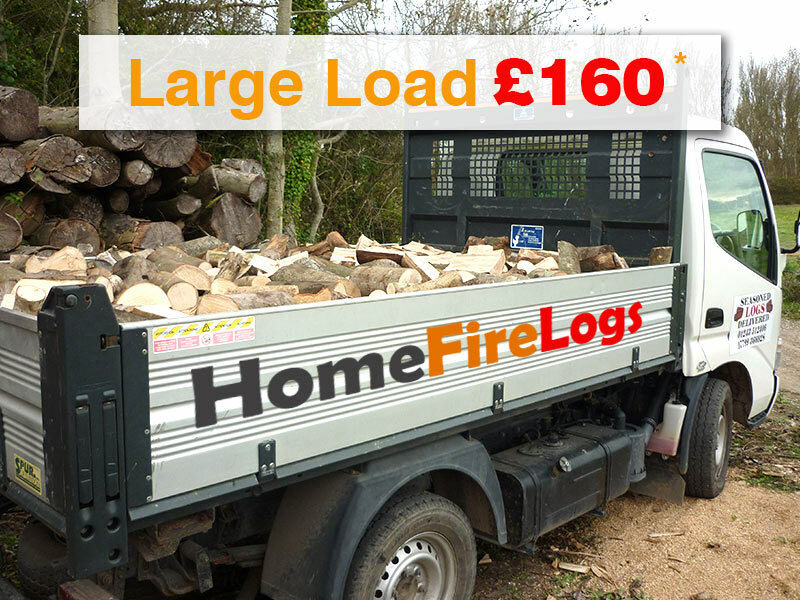 Our load prices include free delivery of your logs to the following areas (as a guide) – any town around 8 miles of Chichester: Almodington, Appledram, Birdham, Bognor Regis, Bracklesham Bay, Bosham, Chichester, Donnington, Eastergate, East Ashling, East Wittering, Earnly, Fishbourne, Goodwood, Halnaker, Hunston, Itchenor, Lavant, Mundham, Nutbourne, Oving, Pagham, Runcton, Selsey, Sidlesham, Southbourne, Tangmere, Westhampnett, and West Wittering. Not sure if you are within the free delivery ares? Then just drop us an email and we will let you know. 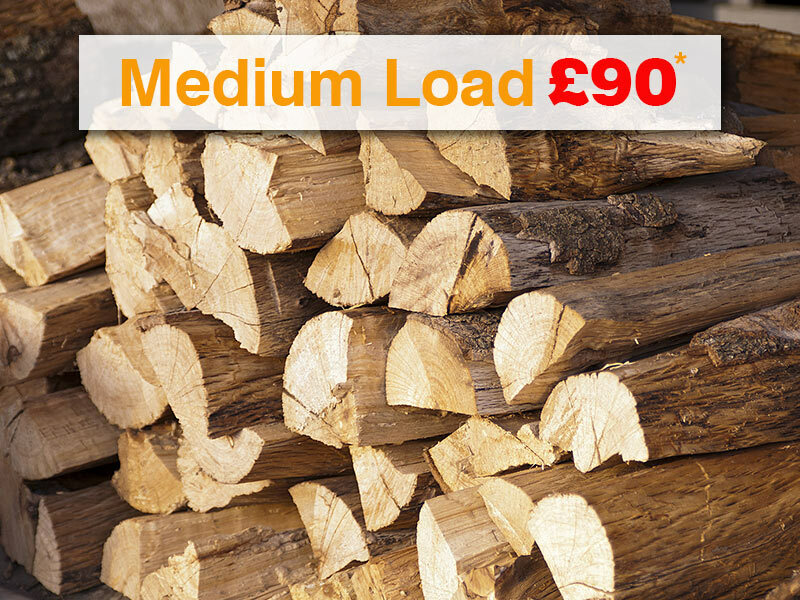 Please note that our logs are cut to 9″ which suits most wood burners. We now cut and split all our log in advance and then store them undercover for an extra 6 months, this enables us to deliver well-seasoned logs ready to burn. This also means we can utilize the best hart wood from larger trees which will not season properly until it is cut and split, these logs burn longer and hotter. Because we cut all our logs to approximately 9 inches and then split them in advance, we will replace any logs that that you cannot burn in your particular log burner. Just let us know when you next order and we will put in some extra and pick up the large ones. If you have a gravel drive I recommend you have a tarpaulin or plastic sheet for me to tip the logs on, it makes it a lot easier to clean up and those small chips are very useful as kindling! Remember, keep your firewood logs in a nice dry location and they will burn on your open fire or wood burner that much better. Please fill in the form to the right to place your order.